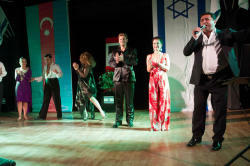 A gala concert dedicated to the memory of the great Azerbaijani singer and composer Muslim Magomayev has been held in Israel. 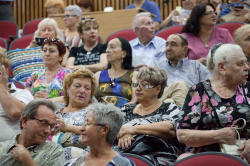 The event was organized on the initiative of Deputy Mayor of the city of Kiryat-Bialik Nahum Rachevsky and the Chairman of the city branch of the International Association Israel-Azerbaijan "AzIz" Sevin Hanukaev, Trend Life reported. 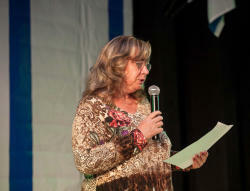 Addressing the event, director of the Azerbaijan Cultural Center "AzIz" Yegana Salman expressed her gratitude to the leadership of the city of Kiryat-Bialik for the excellent initiative, and the audience wished a beautiful evening and pleasant emotions. 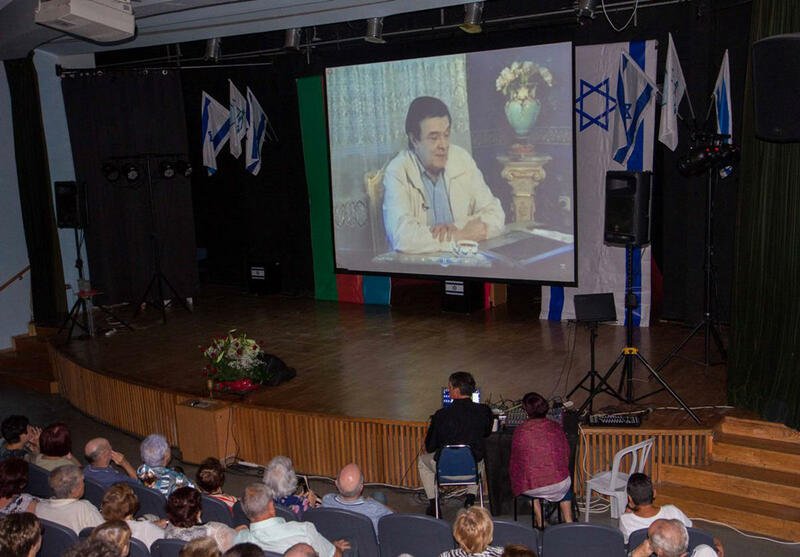 The evening began with the screening of the documentary film "From birth to eternity", written by a resident of Israel, Simon Waxman. In the film one more hypostasis of the genius singer is revealed. Muslim Magomayev remained a very modest, and sometimes even a shy person. Magomayev loved all the people around him. .
Rare shots from the life of the singer, songs record as well as some parts of his life, made the film very interesting. 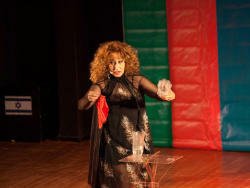 At the end of the film, the audience was presented with a wonderful concert program, where the most favorite songs from the repertoire of Muslim Magomayev were heard, as well as poems dedicated to the legendary singer, dance numbers were presented. The audience warmly welcomed the participants of the program - Honored Artist of Russia Elena Vaiman, singer of the Tel Aviv Opera Theater Camelia Joffe, laureate of international contests of Vyacheslav Yampolsky, singer and composer Konstantin Kalinin, participants in international tournaments, dancers Alex Wassermann and Maya Roginskaya, poet Nicole Nesher who dedicated poems the great singer, as well as the popular performer Tomer Aliev, who sang the song of Muslim Magomayev "Azerbaijan" by the end of the curtain. The concert was held in one breath, and the grateful spectators applauded with all their heart and did not let the artists leave the stage. 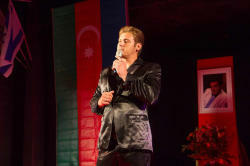 Azerbaijan's baritone Muslim Magomayev won the audience with charisma and sincerity. He quickly became a cult figure that gave many concerts filling huge arenas all across the Soviet Union, while his albums sold millions. He became famous around the USSR at the age of 19 after a stellar performance at the Kremlin Palace in Moscow. He became known in Europe after a successful performance at the Youth Festival in Helsinki, Finland. A very important stage in mastering his vocals skills even further was his training in the "La Scala" Opera Theater in Milan. Muslim's stay in Italy – a country of innumerable art treasures and the home of belcanto – in the 1960s was not only beneficial for his singing, but also affected his inner world. At age of 30, Magomayev was one of the youngest recipients of the highest artistic title, People's Artist of the USSR. He also received numerous awards for his contribution to opera and popular music in the Soviet Union. 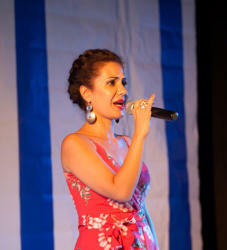 The legendary singer also wrote songs, film soundtracks and music for theater performances. 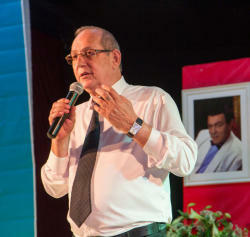 In addition, he played in films and acted as a host in television and radio broadcasts. He also loved to paint pictures, but called it his hobby. In later life, Magomayev struggled with a serious heart condition. 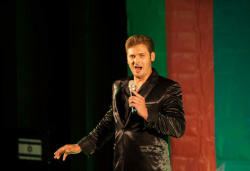 In 1998, Magomayev officially ended his musical career and gave only a few performances together with his wife. One of the greatest singers of 20th century died of a heart failure in Moscow on October 25, 2008 and was laid to rest in Baku.